In tests, the total amount of air moved through a poultry house with attic inlets averaged 10-30% higher per day than houses with sidewall inlets only. During the earliest stages of minimum ventilation, gravity-operated attic inlets open automatically when fans run. 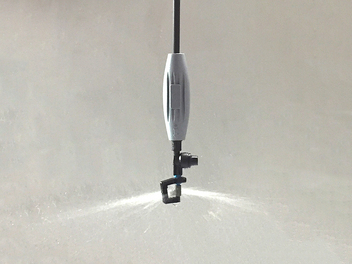 This dramatically reduces winch operation since sidewall inlets start operating later. 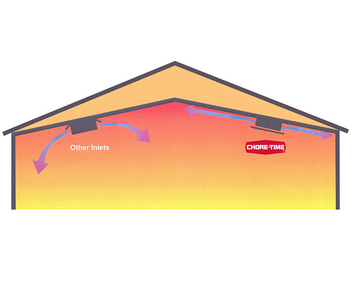 With Chore-Time’s attic inlets, growers can maintain higher ventilation rates during cold weather without sacrificing house temperature or wasting fuel. Additionally, birds are provided with a better mix of air. Fuel savings associated with the use of attic inlets may vary from 5 to 35% depending on house management, house construction and climate.